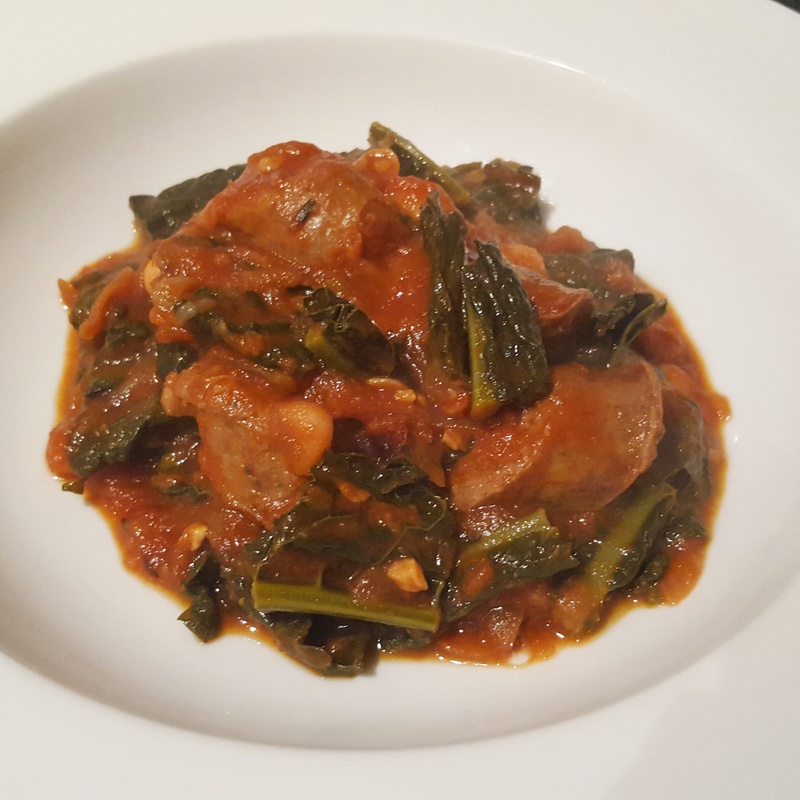 Who doesn’t love a hearty sausage stew? This marries the delicate but rich game flavour of venison with earthy lentils which make for a simple dinner. If you’re not sure about game then this is a great way to start eating it. 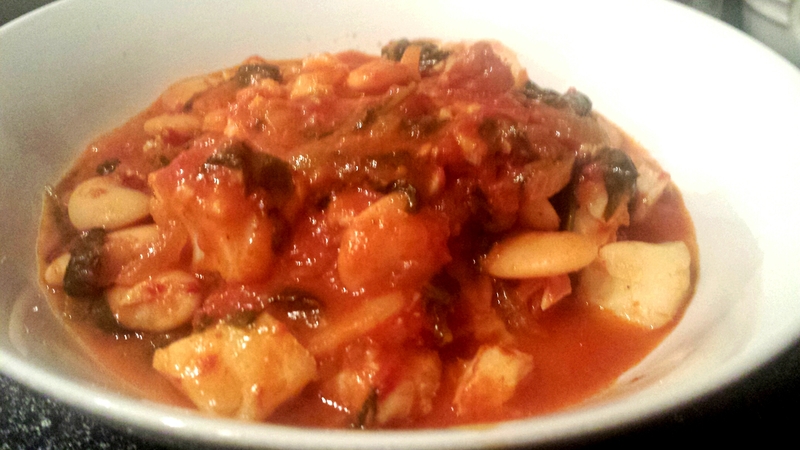 I use white wine to lighten the stew however red wine would also work if you prefer a richer finish. 1. Take a heavy bottomed casserole pot and heat the oil over a medium/ high heat and cook the sausages until golden all over. Remove from the pan and set aside. 2. Use some of the fat from the sausages to cook the onion and garlic until softened. Next up goes the tomato puree which needs to be cooked out for a couple of minutes. Pop in the carrot, celery and pancetta and cook for a further couple of minutes until the vegetables are softened and the pancetta starts to crisp up. 3. Add in the white wine and reduce by half before adding the stock, tomatoes, thyme and seasoning. 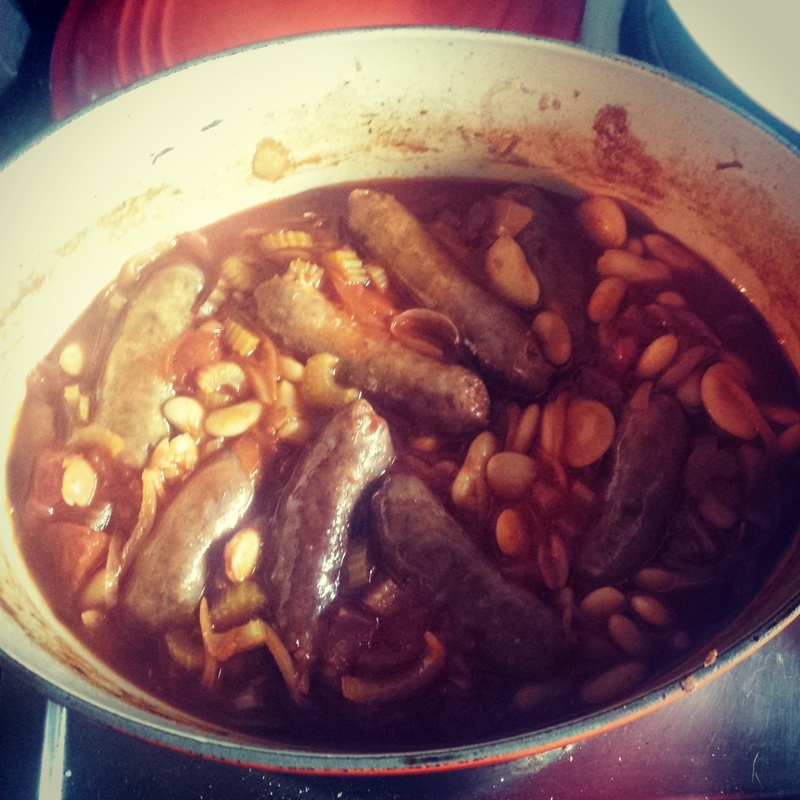 The lentils then need to be added along with the venison sausages and bring to a simmer. Cook until most of the liquid has been absorbed by the lentils and until tender; if needed you can to up with a little extra stock as you go. Finish with the parsley and check the seasoning before serving with crusty bread. 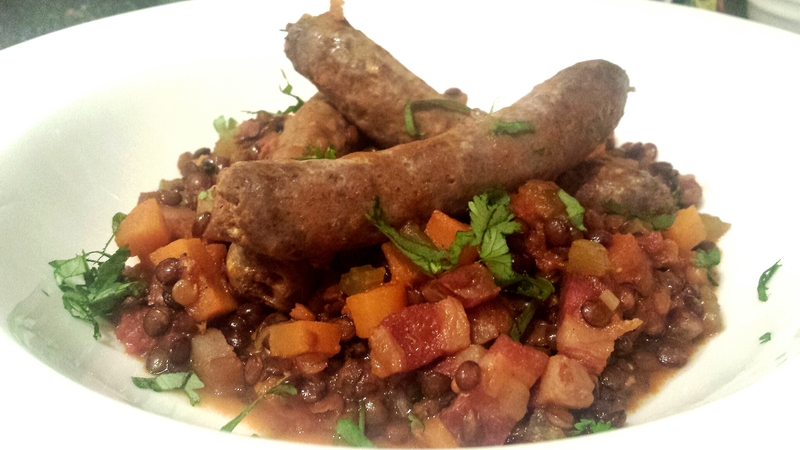 Venison sausage and green lentil stew- a perfect introduction to game!